Starting today, September 19th, Oracle hosts their annual six-day conference that is regularly attended by over 40,000 IT professionals globally, held in the North, South and West Halls of Moscone Center in San Francisco, CA. 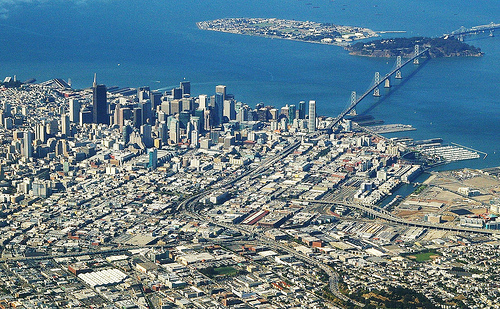 You can find the agenda for this major event at the Oracle OpenWorld Website. Oracle is also providing free live streaming of keynotes through their Facebook Fan page, OracleOpenWorld. Despite Larry Ellison’s well-known rants about cloud computing, it’s go time for him and his company on their roadmap, future plans, how their SOA platform Fusion fits into an increasingly cloud-dominated future. With over 40,000 customers in attendance, many unsure of just where Oracle stands on cloud computing, SOA architectures including Fusion, legacy and current application migration to the cloud, it’s time to deliver. Oracle also needs to define where it is going with Java for the thousands of developers, customers and partners entirely committed to that development platform. Java in the cloud will be a major theme emerging from this event during the week. Over and above just the technology discussions, Oracle is going to have to win the trust of developers at this event if their vision of having a cloud development platform is going to be realized. Bottom line: Look for Oracle to make a play for the evolution of private clouds to hybrid clouds through middleware and still own the entire technology stack, from Java all the way to applications. 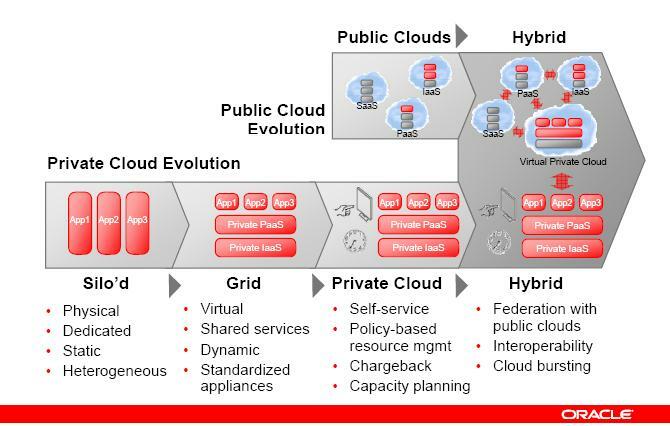 The following graphic from a presentation given in EMEA last year titled Enterprise Cloud Computing: What, Why and How highlights the transition plan Oracle will most likely promote this week.